Arm height adjusts from 7½" to 10"
Seat height adjusts from 24¼" to 29¼"
The Flash Furniture Mid-Back Drafting Chair with Arms comes in a choice of 4 colors: black, gray, burgundy and navy blue. 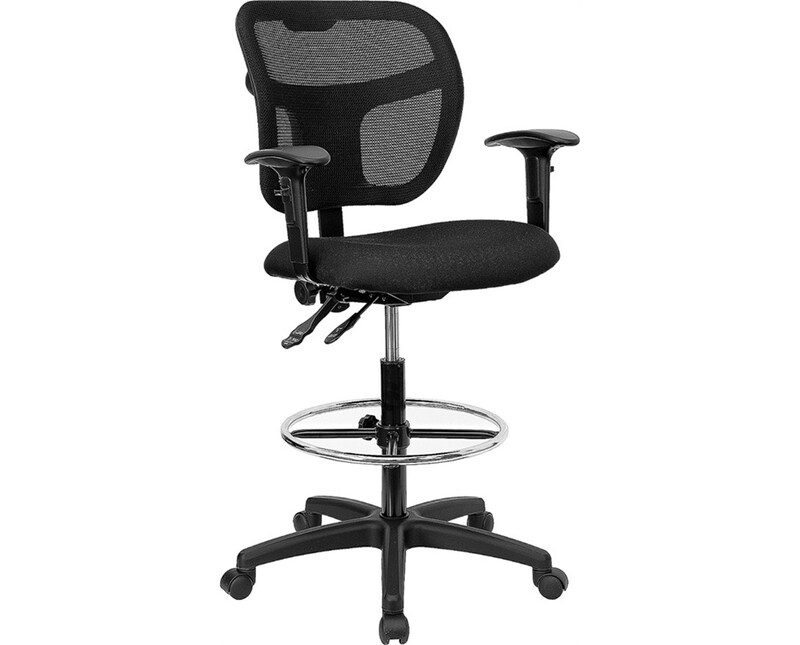 This adjustable chair has a heavy duty nylon base with an adjustable chrome foot ring and dual wheel casters. The breathable black mesh back and stain resistant fabric upholstery seat help keep you cool and comfortable. 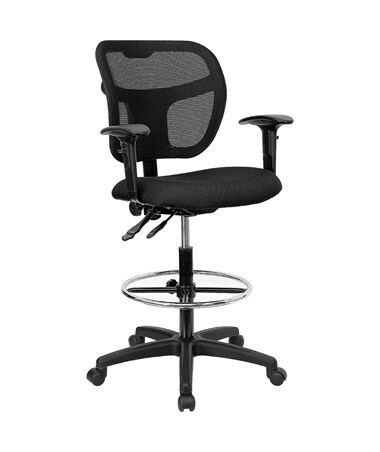 This ergonomic chair has a variety of adjustable features: the back is height and pitch adjustable, while the swivel seat has tilt lock control and is height adjustable from 24¼ to 29¼ inches. The back rest measures 18¾ inches long and 17¼ inches wide, while the seat measures 20 inches long, 18 inches wide, and 3 inches thick. Assembly is required.